What is “clicker training” for? The term “clicker training” a slang term used to describe the process of using a clicker to mark or “capture” moments where your dog does a behavior that you want to happen again in hopes of eventually training the dog to do it on command, or more often. The term “marker training” is another phrase/term used that is a bit more of an accurate description of the process itself. This is as quick and simple as I can possibly describe it. Marker training is when you teach a dog to do specific behaviors, like sit or down, by “marking” the moment they do it, with a sound like the click from a clicker, to let them know “YES! THAT’S WHAT I WANT YOU TO DO”! We communicate to the dog that we want the dog to do “that” again by rewarding (reinforcing) the dog with something it desires as a consequence for the “desired” behavior. The use of a clicker to do this simply makes it easier for the dog to understand what it was that earned it the reward, providing you do it correctly. You don’t need a “clicker” to do this. For years before I even knew the terminology let alone touched a clicker, I did this all the time. When a dog would perform the behavior I wanted I would enthusiastically say “yes” then provide a reward of some kind. Many people do this when they say “good boy!”. It’s all the same thing in terms of why we are saying it. We are letting the dog know they did what we wanted them to do. Clear communication is much easier with a clicker. So if we can do this with our voice why use a clicker? The simple reality is that the clicker is exponentially more consistent than the human voice can ever be. Dogs learn through the associations they build as a result of their experiences. Consistency is key when building an association. A clicker makes the exact same sound, every time, no matter what. If you are sick and your voice is harsh, the click still sounds the same. If you are excited and have an extra chippy voice, the click still sounds the same. All the changes in the way we can say the same word makes it challenging for the dog to learn. The click is ALWAYS the same. This speeds up the learning process dramatically. Most objections people have to clicker training come from their lack of understanding on what the tool is even used for. The clicker is BEST used for the very specific task of teaching a dog to do a new behavior. That’s it. The precision and consistency of the sound of the clicker helps the dog to build the association between doing the desired behavior and receiving a reinforcing consequence. When I want to teach a dog to sit, I wait for the dog to sit and “click” when he sits then follow that with his payment. After enough times of that happening the dog learns sitting is a good thing and does it more often. Then I teach the dog to sit when I make a sound with my mouth. Humans call these sounds “words”. When I want to teach a dog to go into its crate on command I do the same thing. I create a situation where the dog goes in voluntarily then I “click” and the dog gets a reward. Pretty soon the dog is offering me this behavior to make me “click”. Those who correctly use the clicker live by the mantra “What you click is what you get”. That means that once the dog learns what the click means, whatever you click, or whatever behavior you “mark”, is a behavior that will begin to happen more and more. This is why we do NOT use clickers for STOPPING a bad behavior. More on that later. Another powerful and overlooked value to this is training more than just the dog moving its body into specific positions. You can also use this tool to teach the dog to be calm and chilled out. How? When the dog is calm and chilled out, you click. Remember, what you click is what you get. If you ignore hyper behavior, and reward calm behavior, guess what you will get more of? The problem there is many people are reinforcing the very behaviors they want to stop they just don’t realize it. That’s another article entirely though. Again, all a clicker does is tell the dog that he/she did something correct. That’s it. No more, no less. It’s effectiveness comes from its consistency and precision. If it’s not effective, its really not the tool, it’s the person using it’s ability to use it correctly. Like any tool, there is a right way and a wrong way to use a clicker. In every single situation where somebody told me it didn’t work with their dog, dialog reveals they didn’t use it properly to begin with. They either were using it the wrong way or using it in the wrong situation. My first reservations to clicker training came from my ignorance in how the tool even works. Once I became educated however, I discovered there is little rational or valid argument against using the tool for its INTENDED PURPOSES. Why the emphasis on “intended purposes”? If you are using a fork to eat ice cream you will run into problems. I was doing it last night, that’s why I’m using that example. First couple bites were fine. I managed to get the ice cream into my mouth which was the result I was looking for. However, as time went on problems popped up. As the ice cream became inevitably softer, less and less was finding its way from the carton (oh yes, I down entire pints at a time, no need for a bowl) to my mouth. The fork worked for a moment, but In the end, it failed. It was the wrong tool for the job. Does that mean a fork is an ineffective tool? No. I would not want to eat spaghetti without one. However, if you slide a fork into a pile of spaghetti, and simply lift up, how much makes it to your mouth? It slides off the fork. Put the fork in points down into the noodles, and spin, and voila, pure carbohydrate bliss. In order for a tool to work, it must be used correctly, in the appropriate situations, to accomplish the task it was designed to accomplish. Problems with using a clicker ALL fall under two categories. Either the human is simply using it wrong, or the dog is deaf. Clickers don’t work on deaf dogs. Listen, I understand that until we are taught something there can be no real expectation to “know” it. However, there has to be something in your brain that says that perhaps there is information out there you should acquire FIRST before trying something, then condemning it because it didn’t work. When clickers “don’t work” for somebody when training with their dog it’s almost always has to do with the first step and messing that part up. Before you can use a clicker as a way to efficiently tell a dog “Yes, I like what you did, GREAT JOB!” You have to teach them that that’s in fact what the click means! What is often referred to as “loading” the clicker MUST happen FIRST. The article I wrote on this part can be found HERE, but in a nutshell all you are doing is teaching the dog that when it hears the click, a reinforcer is coming, usually food in the early stages. This is all based on the work of that famous Russian named Ivan Pavlov who discoveredd in the mid 19th century something we now call classical conditioning. Dogs who heard a bell immediately prior to being fed eventually would salivate and get excited from hearing the bell alone without the food being present. This is what we do with the clicker. Until this is done, the clicker is simply a piece of plastic that makes a noise that has zero meaning to the dog. When you bring a clicker home, the first week is spent teaching the dog what the click means. You have to classically condition the dog to expect a reward after it hears the click. That’s the whole point. So bringing a clicker home and clicking away and expecting something magical to happen is not going work. Early perceived success at doing it wrong has set those individuals up for failure. The clicker is not intended to come BEFORE any behavior or verbal command.. Remember, the clicker is simply “good boy!” after the dog is successful. 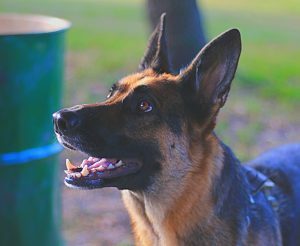 Could you train a dog to sit when you click? Yes, but why? That would mean the click can only be used for ONE command which is not only an utter waste of the tool, but very impractical. Clickers don’t tell dogs what to do, they tell them that what they just did was correct. While clickers are used in training programs to address bad behavior, it’s not in the way some think. 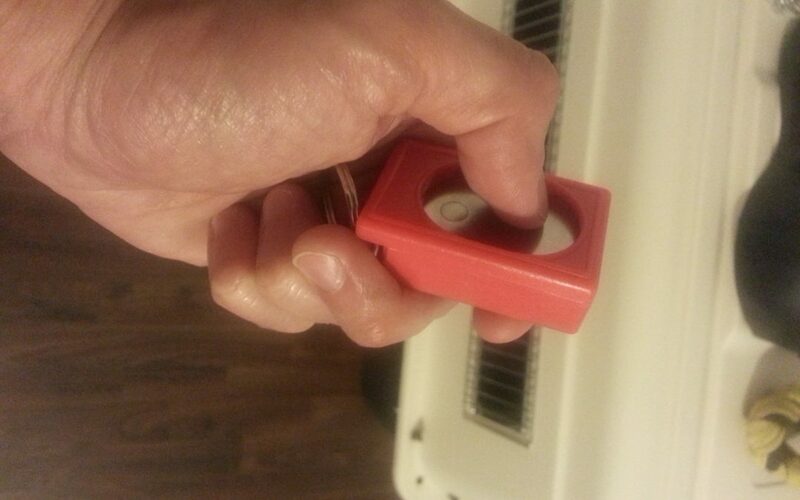 The clicker is used to strenghten behavior, we have already covered that. When it comes to stopping or decreasing unwanted behaviors it helps significantly to make sure you provide the dog with an acceptable alternative behavior. That’s where the clicker comes in. We don’t use the clicker as a consequence for the dog jumping on somebody but we can use it when the dog has all four legs on the ground. By reinforcing the desirable behavior you can “hopefully” see a decrease in the unwanted behavior because the dog might find the desirable behavior more reinforcing via all the clicking and treats. The problem with this is that in some situations, the dog simply finds the undesirable behavior more reinforcing than anything we have to offer. From there the conversation must incorporate an objective, non-emotional, and logical dialog on punishment. Unfortunately more and more people lack the ability to remove their emotion when discussing punishment, which means more and more dogs do not get to experience the progress in training that they could. When people start talking about fixing aggression with clickers I cringe……but that’s another issue and article entirely. I LOVE using clickers with new clients who have never seen them before. To see somebody’s face when they watch their dog have an “ah ha!” moment in their training sessions is priceless. There is so much fun people totally miss out on with their dogs. Clickers create a fun way to open the communication pathways between human and dog. The dogs love the clarity of expectations and the humans enjoy the time they get to productively spend with their dogs. We don’t need to be in the same town, state, or even country! My online coaching programs can help you and your pup no matter where you are! Subscribe and get a FREE copy of my new E-Book!